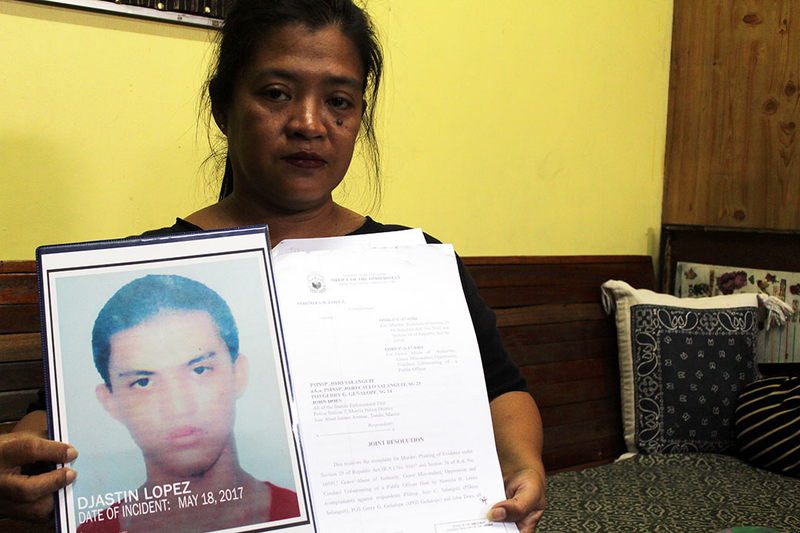 MANILA – It was a mix of emotions for Normita Lopez, 54, when she received the resolution of the Ombudsman last March 28 over the case she filed against the police who murdered her 23-year-old epileptic son, Djastin. “It’s good news but sad also,” Lopez said in an interview with Bulatlat. Out of the two policemen she named in her complaint namely, Police Senior Inspector Jojo Salanguit and PO3 Gerry Geñalope, the Ombudsman only meted out punishment on Geñalope. In a Joint Resolution signed by Maria Crisanta Cudiamat-Reyes, Graft Investigation and Prosecution Officer of the Ombudsman, Geñalope of the Manila Police District Station 7 was found guilty of grave misconduct, with the penalty of dismissal from service, including cancellation of eligibility, forfeiture of retirement benefits and perpetual disqualification from holding public office. 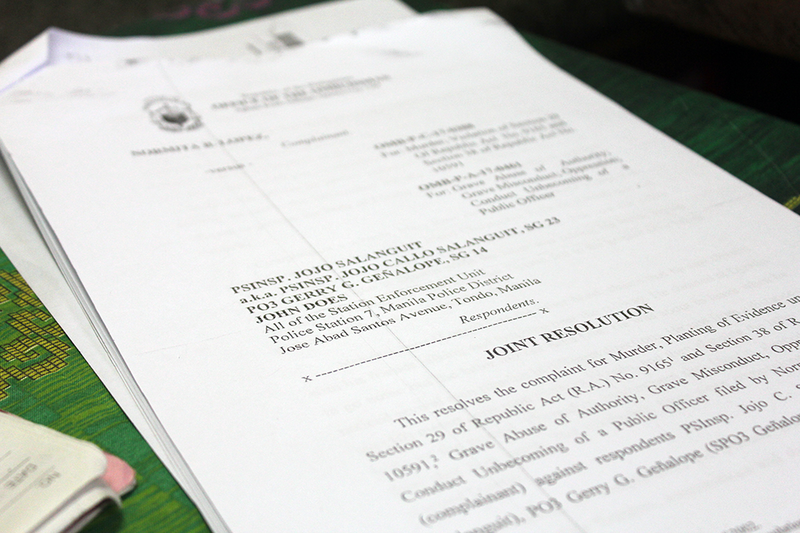 Reyes also ordered the filing of murder charges against Geñalope. Other criminal charges against him such as planting of evidence were dismissed due to insufficiency of evidence. The resolution was approved by Ombudsman Samuel Martires. Meanwhile, administrative and criminal charges against Salanguit and John Does were dismissed for insufficiency of evidence. “I want them all to be held accountable and not just one,” she said. Djastin was killed on May 18, 2017 in what the police claimed as “anti-criminality campaign and follow up operation” in Tondo. Djastin was allegedly selling illegal drugs in the area and a suspect to the murder of a certain Michael Turla. Lopez said the spot report stated that Djastin was killed because he was resisting arrest. However, there are witnesses who attested that Djastin was pleading for his life but the police still fired at him. Another witness also said that Djastin was pushed by a man, slapped him while he was lying on the ground, and then he heard gunshots after. Lopez could not help but cry on what the policemen have done to his son. “He could not fight back but they still killed him,” she said in Filipino. The same was also pointed out in the resolution which says that Geñalope perpetrated the act with treachery. “As attested by the eyewitnesses, it is evident that PO3 Geñalope consciously and deliberately employed said attack to ensure the execution of the crime and make it impossible for Djastin to defend himself or retaliate,” the resolution read. A fact-finding was also recommended to determine what truly transpired on that fateful day of May 18, 2017 or if there is indeed a planting of evidence. Indeed, this recent resolution of the Ombudsman gave hope not only to Lopez but the families of those who were killed in the government’s campaign against illegal drugs. 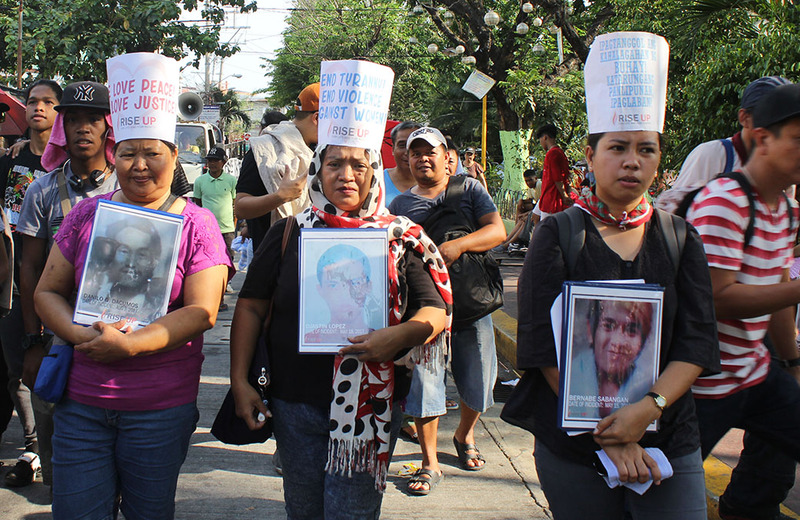 Lopez said even though her heart desired for the punishment of all those who are involved in the killing of her son, she still welcomes the Ombudsman’s resolution. There is still hope, Lopez said. For her, this is just a step to attain justice for her beloved son. She encouraged all families of the victims of President Duterte’s campaign against illegal drugs to come out and not let their loved ones be just part of the statistics. “The killings continue. We cannot just stay silent. There is always someone who can help us with our case,” she said adding that the case of her son was assisted by pro bono lawyers of the National Union of People’s Lawyers.